Team Nigeria has files out in Wednesday's opening ceremony at the 2018 Commonwealth Games in Gold Coast, Australia. One of the country's most successful athletes, Blessing Okagbare-Ighoteguonor carried the green and white flag as she led the team. Nigeria is represented by 90 athletes accompanied by 45 officials and they will participate in 9 events. Athletics, Basketball, Wrestling, Weightlifting, Boxing, Table Tennis, Special Sports and Gymnastics. 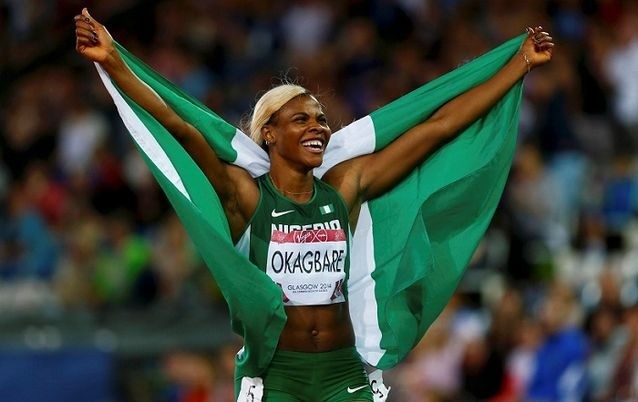 Okagbare has put herself forward as one of the country's brightest medal prospects as she recently broke the African 200m record held for 22 years by Mary Onyali-Omagbemi. It was however gathered that she has not been registered for the sprints but will run the women 4x100m.